It’s out there. Big time! The buzz about rising interest rates. Whether that time has finally arrived … or not, here is how the inevitable upward trajectory will directly affect you and your mortgage. These days, most mortgage lenders are getting in touch with their clients as far as six months prior to the renewal date of their mortgage. And they are quite aggressive with their offers — which is good for you. You can expect follow up phone calls and letters warning of rising interest rates, and how you will be smart to lock in your next rate now, before things get worse. Having their quotes in your back pocket arms you with peace of mind. Don’t lunge into the renewal without checking out your alternatives first. Call your mortgage broker and share the renewal offers with her, and ask what other possibilities are out there. You are in the driver’s seat at renewal time — feel the power, and get busy on setting yourself up well for the next five years. Keep in mind, if you have been waiting for the renewal date to increase your loan amount (perhaps a home reno project, some high interest credit cards or child’s post secondary education cost is beckoning) you will need a brand new mortgage anyway — essentially you are starting over with a clean slate. Find out all your options from your mortgage broker. 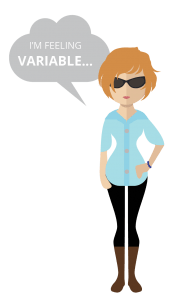 You are in a variable rate mortgage; should you exercise your conversion privilege and change it to a fixed rate mortgage? The Prime Rate has been so low for so long, many VRM borrowers have forgotten that the “V” in VRM stands for variable! It is understandable to feel nervous… but do not panic! If you have a VRM today priced at Prime less 0.7%, your mortgage interest rate is only 2%. Suppose rates rise not once, but rather three times over the next year by 0.25% each time, your rate would still only be 2.75%. That will still be lower than the majority of people in fixed rate mortgages. 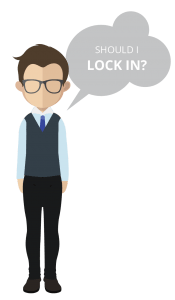 But if you don’t have the stomach for rate increases (you either know who you are or you may be about to find out) the option to convert your VRM to a fixed rate mortgage any day, any time is there for you. The catch of course being, you locked yourself in for a five year relationship with your mortgage lender; so you are not going anywhere without incurring a prepayment penalty. This also means there is no incentive for your lender to offer you their absolute lowest, best five year rate at this time. You are not exactly in a power position, so don’t be surprised if the interest rate you convert to is a full one percent higher than your current VRM rate! Good to know! So, whenever I am asked if I prefer variable versus fixed rate mortgages for a client, I usually bring the discussion back to them, not to me. I have never been a fan of predicting interest rates, and look skeptically at those who do. If your mortgage balance is small, relative to your overall finances, why panic? Enjoy the big discount you have over your neighbours’ rates, and get on with your life. If you are risk averse, and want the comfort of knowing exactly what your mortgage payment is going to be for the next five years, then consider the fixed rate approach. Let others worry about rising interest rates. If your finances would become intolerable with rising rates and mortgage payments, this may be another reason to have a locked-in, fixed rate mortgage. 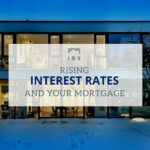 If you are going to buy a home you may or may not be affected by rising interest rates. First, some variables that will affect the impact of a rate increase on your home purchase. These are not directly affected by the Bank of Canada Overnight Rate. In fact, we have already seen five year “A lender” rates increase twice in recent weeks, and that is without the banks effecting a Prime Rate increase. You should not assume they will rise again if the Prime Rate goes up. And “B lender” fixed rate mortgages have already increased by at least 0.7% over the past two months, but that has more to do with the now-behind-us Home Capital crisis. If your down payment will be less than twenty percent, you will need a mortgage with mortgage default insurance (Think CMHC insurance) The amount of mortgage you qualify for depends on something completely different — the so called “stress test” rate of 4.64%. There are no indications the stress test rate will rise soon. Until it does, your maximum mortgage amount eligibility will be unchanged. Variable mortgage rates are set as a discount (or less often, a premium) to the chartered banks’ Prime Rate. The Prime Rate typically rises or falls depending on what is happening with the Bank of Canada Overnight Rate. You should actually care about not only the level of the Prime Rate, but also the size of your discount to the Prime Rate. Changes to either of these two measures will affect your future mortgage payments. Therefore a VRM priced at Prime less 0.70% would go up from 2.0% to 2.25%. Translated to dollars and cents, that means if you need a $400,000 VRM with a 25 year amortization period, your potential monthly payment would rise from $1,694 to $1,742; an increase of only $48 per month. Now let’s look at the VRM discount. Today, it’s not hard to find a high ratio VRM rate at Prime less 0.7%. So that would be 2.0% on July 11, 2017. There is no reason to presume the discount will change even if the Bank of Canada increases its overnight rate. In the past ten years, we have seen the discount vary now and then from as low as Prime less 1.0% to as high as Prime itself. Keep an eye on the discount you are being quoted. If the discount shrinks, that takes away some of the benefit of having a variable rate mortgage versus a fixed rate mortgage. But once you accept the offered discount, it will not change during the term of your mortgage, no matter what is happening with the interest rates. So, what do potentially higher mortgage rates really mean for you? You are a homeowner with a fixed rate mortgage: Don’t worry and enjoy your summer! You are a homeowner with a variable rate mortgage: Yes, your monthly payment may rise soon, but it is far too early to stress-out about it. If you are anxious, speak to your mortgage broker about your conversion options. You are a homeowner with a pending renewal: Awesome! You get to make a great decision now before things get out of hand (if in fact they ever will). Talk to your mortgage broker about your alternatives. You are buying a home soon: Sweet! What a perfect time to arrange a pre-approved mortgage, and potentially protect yourself from further rate increases before you close your purchase. Bottom line — know your finances. Decide what your maximum borrowing power is with your mortgage lender, but more importantly, understand your monthly budget and your comfort level with different mortgage payments. Know your limit, stay within it and you can rise to the challenge of rising interest rates!